Consider the curious case of the all-male boards. Hard to believe that in 2017 anyone would think they are OK, but they’re more common than you think. Then along comes Harvey Weinstein, backed all those years by Weinstein Co.’s nine-member board, made up entirely of guys. This should be corporate America’s wake-up call on why a boys club in the boardroom is a bad idea. 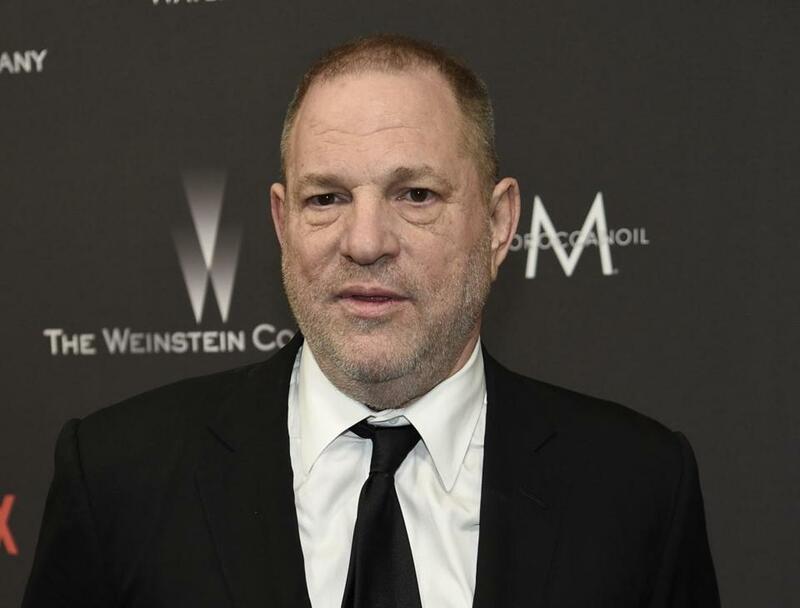 Engulfed in sexual harassment and assault scandal, Weinstein Co. may file for bankruptcy protection. I bring this all up because it’s that time of year again, when groups promoting women on boards start to analyze the year that has been. Boston Club’s annual census of the 100 largest public companies in Massachusetts found that 16 still had all-male boards as of June 30. Another local group, 2020 Women on Boards, uncovered that 55 of the country’s largest 801 companies do not have female directors. “A diverse staff, a diverse leadership, and a diverse board are just more likely to have the kind of open dialogue — constructively direct dialogue, courageously challenging dialogue — to ensure a company has a relentless quest for a better environment,” he said. Deutsch walks the walk on this. Boston Private, which does wealth management and private banking, has worked hard to diversify, and it shows. With female directors holding five out of 11 board seats, the company is reaching the dream state of parity. Sometimes all-male boards persist because there is little turnover. That wasn’t the case with Progress Software, a Bedford tech company, which in a recent press release bragged about how it had added three directors over the last year. None of them were women. Ladies, get your resumes ready. I know qualified women are out there. I was most surprised to see LogMeIn on the list of all-male boards. That’s the Boston tech company that has been trying to raise its profile in town. Showing up on the Boston Club’s laggards list is one way, but I don’t think that’s the kind of publicity it was looking for. CEO Bill Wagner, in a statement to the Globe, explained the company went through a merger this year and in the process lost two of its female directors. He said the current board does not reflect “historical norms for diversity,” and the company has hired a search firm with a track record of placing women on boards. Not every CEO is chagrined by an all-male cast in the boardroom, but Wagner is. “While both LogMeIn and the technology industry as a whole have made strides in recent years, clearly there’s still a lot of work to be done,” he said. Now let’s get back to the issue of sexual harassment in the workplace and whether female directors would have made a difference in setting the right tone from the top. A recent survey by Boardlist and Qualtrics of over 400 directors at public and private companies found that 77 percent had not discussed the issues of sexually inappropriate behavior and sexism in the workplace. Now this survey was conducted over the summer, in response to the problems of a male-dominated culture at tech companies and venture capital firms — before the transgressions of Weinstein and other powerful players were aired. I can’t say for sure that all female directors would say something, but I do know Pam Reeve has. The former tech CEO sits on several corporate boards, and when the Weinstein scandal broke, she reached out to her chief executives to get the issue of sexual harassment on the next board meeting’s agenda. While she doesn’t think her companies have a problem, she felt strongly that management needed to make sure the right policies are in place. The all-male board won’t be extinct next year, but the Weinstein scandal will make a lot of companies think about the dangers of having just boys in the boardroom. Shirley Leung is a Globe columnist. She can be reached at shirley.leung@globe.com. Follow her on Twitter @leung.